You can now calculate the project. To calculate the project, click the Calculate button (for small projects calculations are done automatically) and Monte Carlo simulations are performed. 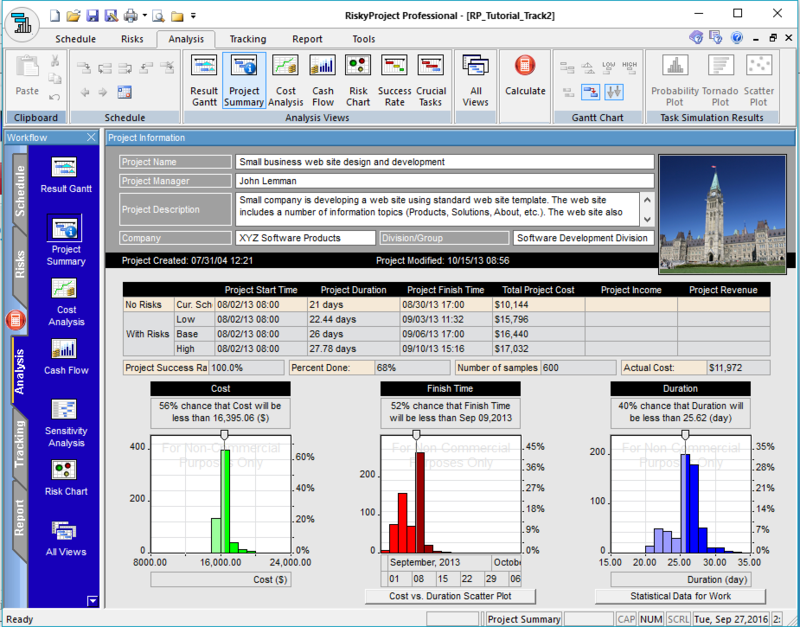 RiskyProject offers a number of tools with which you can analyze the results.